Peter moved to the Sunshine Coast from Melbourne in 2002. He has had a long standing career in education teaching English, Media and Manual Arts (Building and Construction). From the moment you meet Peter, his calm disposition makes you feel at peace and at rest knowing he has everything under control. Dealing with a wide demographic in his teaching career, it has given him invaluable communication & negotiating skills providing Peter with the ability to work with people in all different circumstances. He started working in real estate in 2004 and in 2008 he gained his full Real Estate Licence. 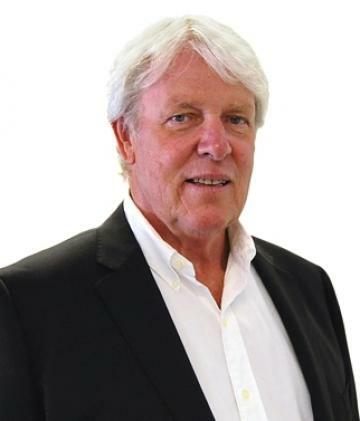 He has a wealth of experience in real estate across the Sunshine Coast. His skill base as an educator in the Building and Construction field makes him ideal to understand the physical side of building and property, whilst his personable skills fully equips him to work with you to negotiate for you the best result possible. Peter is a family man and loves all sorts of water sports and the AFL. He is committed to providing a professional, friendly and ethical service and encourages contact to discuss your real estate needs at any time. This is your opportunity to own a Gabriel Poole design beach front unit, within walking distance to Alex Beach and Mooloolaba restaurants and boutiques. The unit features two double bedrooms with a modern kitchen and bathroom, a north facing balcony and reverse cycle air-conditioning plus pool in complex of only 16 units. Large 903 sqm residential block, elevated with a gentle slope. This unique parcel of land, situated at the end of a quiet cul-de-sac has been held by the same family for 40 years. There are endless possibilities to develop an executive home with the option to add a 60 sqm self contained dwelling, office, studio or Air B & B.